How to Cast Blu-ray to TV via Chromecast? Chromecast is small and easy to take, you can stream videos from PC to your TV with Chromecast. For many Blu-ray fans, they want to it’s possible to stream from the multiple Blu-ray drive in PC to Chromecast or not? You can realize this goal. You can screencast, but you better have a great PC and a great network connection. You can use one HDMI or separate blu ray player for your TV. 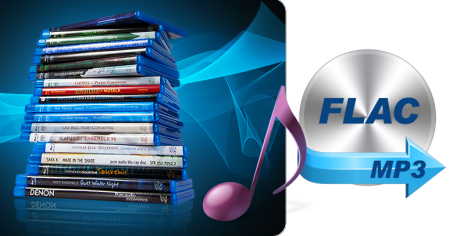 Sometimes, you get the latest Blu-ray movies which are protected by the advanced copy protection, like the bLu-ray region code, you have to fiind tool to remove the region code firstly. At present, 4K TV is more and more popular, users can stay at home, open the TV and enjoy the 4K videos with family and friends happily. Samsung 4K TV is a good option for spending a happy weekend. We know that streaming the 4K videos need the high internet speed, few users can provide the 4K streaming speed, you may meet the video interruption issues. For many 4K Blu-rays users, you don’t need to worry about this trouble any more, you can play 4K Blu-ray on Samsung 4K TV with the 4K Blu-ray player. However, we also will meet other troubles: The latest 4K Blu-ray protection. How to Play DVD on Samsung Smart TV? Enjoy the video on Samsung Smart TV is really nice, which can provide the high video quality playback. For people who collects multiple DVD movies, play DVD on Samsung Smart TV and share with family is a good way to kill the weekend. However, the Samsung Smart TV doesn’t provide the DVD drive, you can’t play the DVD on it directly. How to enjoy the DVD on Samsung Smart TV happily? This post will introduce 2 ways to do. Step 1: Rip DVD to Chromecast with a DVD ripper. Step 2: Add Google Cast extension to your Chrome browser. Step 3: Drag and drop the converted DVD video to Chrome directly and it will be played by Chrome browser. Chromecast 2 is an amazing design, user just need to plug Chromecast into the HDMI port on TV, then a wonderful TV movies library is finished. To one who spends much money on DVD and collecting many DVD disc, the large DVD disc storage is the big trouble which is unclean and inconvenient. If connect DVD with Chromecast 2, all problems will be solved. The wisdom choice is to cast DVD to Chromecast 2 on Mac for Streaming to TV. Fire TV Stick come into our sight, which is a little dongle with big potential. It consists of 1GB of memory, a dual-core processor, and a cheaper remote, you can connect it to TV by the HDMI cable for Blu-ray playback or play games.You can use the remote control to play the video programs easily. The Fire TV Stick also can support 1080P video resolution, so wonderful. As a fan of Blu-ray, when you buy a Fire TV Stick, you must can’t wait to stream Blu-ray content to Fire TV Stick for playing. This article will guide you how to stream Blu-ray to Fire TV Stick for smart TV. How to Convert 2D Blu-ray Discs to 3D for Samsung TV? Many people want to watch a 2D Blu-ray on Samsung TV in 3D mode but don’t know if it can be realized. Here, I can tell you you can watch 2D Blu-ray on Samsung 3D TV in 3D mode by converting 2D Blu-ray to 3D video. How to do that? If you are interested, just read on. 1. Power on the player and TV. Set the TV input/source to where the Blu-ray player is connected. For example, if the player is connected to HDMI 1 on the TV, set the TV source to HDMI 1. 2. Once the home menu is displayed, insert the 2D Blu-ray Disc. The player begins to read and loads the disc. Movie trailers and previews begin to play. 4K, also known as ultra HD, is the biggest thing in TV nowadays — literally. This format offers four times the pixels of HDTV, plus better color, and is designed especially for very large TVs. Today Vizio 4K TV is becoming more and more popular, there is no doubt it is a very enjoyment to play Blu-ray movies on it. Well, here will tell you how to play Blu-ray movies on Vizio 4K TV, just keep reading. The X83C is your step up to 4K Ultra HD. Powered by the 4K Processor X1 chip, content is upscaled to its best 4K resolution which brings a stunning quality to whatever you are watching. Better still, with Motionflow XR 800Hz you’ll experience smoother images and blur-free video right across the 43-inch screen. According to some forums, many Blu-ray collecters want to put Blu-ray movies to Sony Bravia KD43X83 LED 4K Ultra-HD Android TV, and but a Blu-ray player to connect with your TV. Maybe you feel this is complicated and difficult. So we recommend one easy method of playing Blu-ray movies on Sony Bravia KD43X83 LED 4K Ultra-HD Android TV. How to play Blu-ray on Sony Smart TV via USB Stick/External HDD? 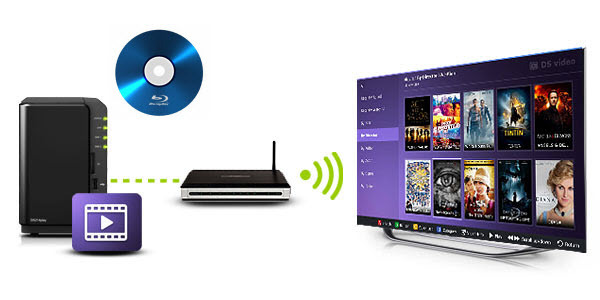 Many demands push you to copy Blu-ray to External HDD for steaming on your Sony TV. Perhaps, you want to protect your expensive Blu-ray discs from kids destroying. Or your Blu-ray Player is broken even you don’t have a Blu-ray Player. Whatever the reason is. Here the topic we are going on is how to solve the problems when you streaming Blu-ray movies on Sony TV via USB? With space to keep virtually everything, the WD My Cloud PR4100 offers your creative team the network storage to share production files from anywhere with an internet connection. And with all videos and files organized in one place, your team has all it needs to streamline its creative workflow. The best part is if you rip your Blu-ray library to WD My Cloud PR4100, you can stream Blu-ray movies on your TV no matter in your bedroom or at the sitting room. MyCloud DL 4100 – your personal storage device – allows you to store your Blu-ray collections to it, so that you can stream your Blu-ray movies from MyCloud DL 4100 to TV with no need to put Blu-ray discs out and in from Blu-ray player. Since 4K TV has become popular, many people have the need to play Blu-ray movies on 4K TV from MyCloud DL 4100. If you have the same need, but do not know the way, then following the guide to backup Blu-ray movies to MyCloud DL 4100 for 4K TV playback. First of all, all 4K TVs do not support to play Blu-ray movies directly due to format incompatible issue. 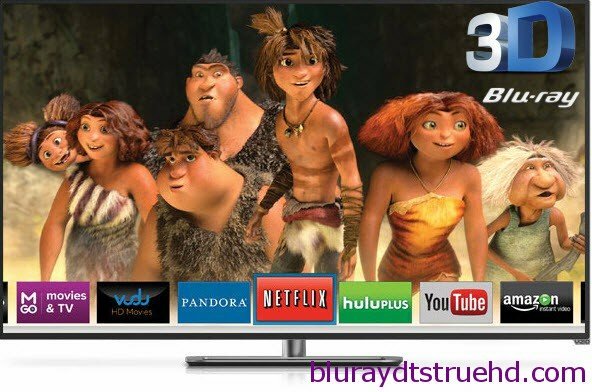 To play Blu-ray movies on your 4K TV from MyCloud DL 4100, you gonna need to rip Blu-ray to 4K TV supported video format before uploading Blu-ray files to MyCloud DL 4100. When play Blu-ray and DVD on Panasonic TV, the normal way will be using a Blu-ray Player. But if your Blu-ray and DVD discs purchased from Amazon or local shops are region-locked ones, your Blu-ray Player maybe meet playback issues due to the region codes. Copying and convert Blu-rays and DVDs to Panasonic TV MP4 files allows you stream Blu-ray and DVD movies on Panasonic TV from external hard drive or over the network. 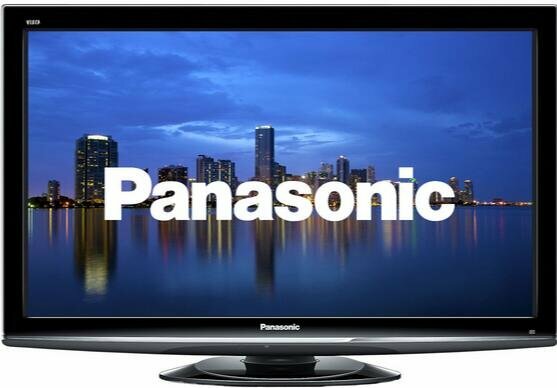 So how to convert Blu-ray and DVD to MP4 for Panasonic TV? To rip Blu-ray and DVD to MP4, you need a Blu-ray Ripper. A Blu-ray Ripper not only can decrypt commercial Blu-rays but also can remove DVD copy protection then convert Blu-ray and DVD disc format to Panasonic TV MP4 format. According to Apple product release tradition, the next Apple TV – the 5th-generation Apple TV, or Apple TV 5 should be coming. Indeed, there are already rumours that a next-generation Apple TV might arrive in late 2016, although Apple could also be waiting until next year to release a special model to celebrate the Apple TV’s 10th birthday. "I have a number of Blu-ray Audio discs that I’m able to convert to FLAC tracks. I browsed many high-resolution forums in an attempt to figure out how to rip my Blu-ray audio discs but got nothing. I plan to store both my high-res audio and Blu-ray rips on an external HD for streaming on primarily my MacBook Pro, but eventually my TV." 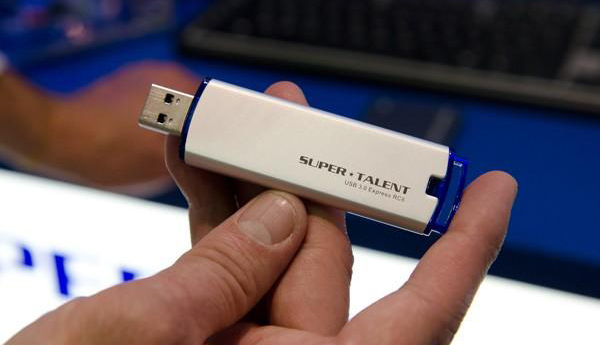 Nowadays, more and more TVs apply USB 3.0 port, giving you higher data transmission speed via USB. It even won’t cost you too much time to transfer a king-size movie to TV for streaming via USB 3.0 port from USB 3.0 Flash Drive. So if you are planning to backup Blu-ray to USB HDD for TV streaming directly without needing Blu-ray Player, it will be a good idea to store Blu-ray to USB 3.0 Flash Drive. 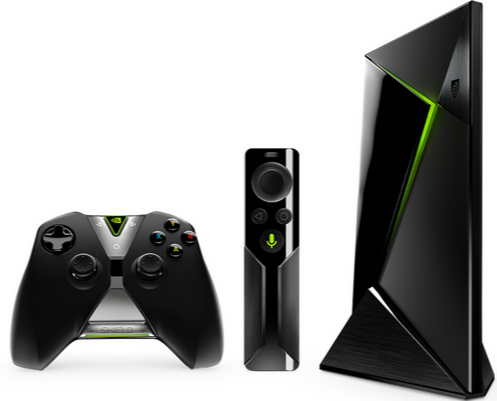 Actually, there are many utilities in the market called DVD Ripper that can bypass DVD encryption and shift DVD format to MKV for Nvidia Shield TV streaming via Unraid NAS. Here I want to recommend is Pavtube ByteCopy. DS video is a free app for Samsung Smart TV, which allows you to easily stream videos from your Synology NAS server. As it’s dedicated for Samsung Smart TV, no extra streaming boxes or remote controls are needed for streaming. So for those who have considerable Blu-ray collection to play on Samsung TV but don’t want to use Blu-ray Player to handle the discs one by one, it will be a perfect idea to rip and put Blu-ray to Synology Server then stream Blu-ray video on Samsung Smart TV with DS Video. This article here will show you each part of building a home theater system with Synology Server, Samsung TV, DS Video and your Blu-ray library. Now, let’s see the first part to rip and copy Blu-ray to Synology Server for Samsung TV streaming via DS Video. As a competent movie fan, Oscars is a ceremony that you can’t miss. 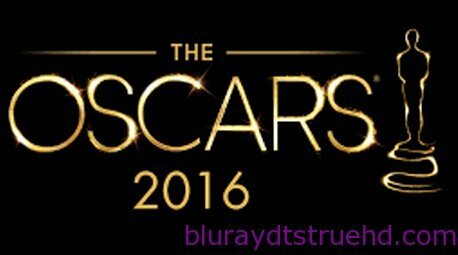 As the 88th Academy Awards ceremony is scheduled to take place on February 28, 2016, are you ready to collect the new Blu-ray Oscars 2016 Winner movies so that you can enjoy the movies repeatedly later? However, over insert-and-eject may lead to the scratch of discs, is there a way to let you enjoy your favorite Oscars 2016 Winners on your wide screen TV without using the discs again and again? When you play Blu-ray movies on LG 49UF6430 4K UHD LED TV, you can choose to use heavy Blu-ray player to play your disc-based content. Or, you can choose to backup your Blu-ray discs to USB hard drive then stream the Blu-ray movie on your LG 49UF6430 4K UHD LED TV via USB port. This way gives you the chance to protect your discs from scratch. And with Blu-ray movies in USB hard drive, you can take the Blu-ray movie with you. To play Blu-ray on LG 49UF6430 4K TV via USB hard drive, you need to rip Blu-ray to LG 49UF6430 4K TV supported format. How to backup Blu-ray for playing on LG 49UF6430 4K UHD LED TV via USB? Pavtube BDMagic <review>can help you. How to Watch MKV Blu-ray rips from PC to TV? I just baught a Panasonic TC-PST50 and I wanted some advice/direction on how to be able to enjoy my mkv bluray rips that i have saved on my PC. example: I have the lord of the rings trilogy 1080p in .mkv files that are combined like 60GB of Hard drive space. I don’t know if its better to get a USB stick and just plug it into my TV or if I should transfer the files to my laptop and use an HDMI cable to plug in from laptop to TV. The best bloody show on TV must be Hannibal. Although I have given it up for a long time, its Blu-ray release still makes me excited. Waiting for so long time to watch the update is a torture for an impatient person. Hannibal TV Series on Blu-ray can meet the dual-demands on HD resolution and continuity. I got the Blu-ray version and I want to rip the Blu-ray Hannibal to my personal cloud storage so that I can watch it via iPad on my bed or on HD TV in couch. LG company’s TV divisionmaybe simply neglect some aspects of their much more affordable LED models but its 4K models must be amazing. 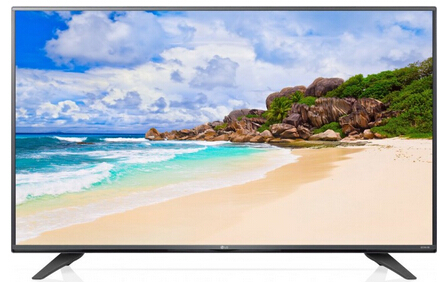 Like LG UF7600 4K TV, it does offer excellent content upscaling and a connectivity package that’s fully ready for some of the latest and best in both online UHD content and videofrom external media devices. So if you have some 4K Blu-ray, you can simply rip these 4K Blu-ray to USB external hard drive for watching on LG UF7600 4K Ultra TV. When spoke of Blu-rays, people perhaps think of Blu-ray Ripper first nowadays in that less and less people play Blu-ray only via Blu-ray drive and Blu-ray player. For example, if people watch Blu-ray movies via WD TV, they prefer to rip Blu-ray to a USB mass storage, like an external hard drive, then to stream these Blu-ray movies on HD TV via WD TV through external hard drive. With the approach of Thanksgiving, you may have collected some Blu-ray movies, do you think about ripping these Thanksgiving Blu-ray to External Drive for viewing on HD TV via WD TV? If so, the article will help you a lot. Synology, a worldwide leader in storage solutions, introduced significant enhancements to Synology’s family of personal storage devices – Synology DS416. This is the successor to the DS414 with upgraded hardware. If you are planning to backing up Blu-ray collection to personal cloud storage for sharing, Synology DS416 is a nice choice. 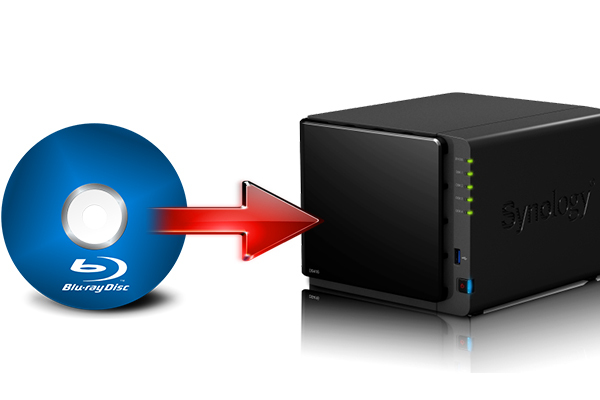 Here, let’s focus on the way of backing up Blu-ray to Synology DS416. Everyone wants 4K and no one knows why. It’s the hottest techy buzzword of 2015, and it’s a technology that’s rewriting the rulebook when it comes to HD TV. As a major TV manufacturer, LG is working hard toward being the leader in the 4K TV industry by providing a good number of impressive Ultra High Definition TVs. Watching 4K movies on LG 4K TV gives you the biggest visual feast. 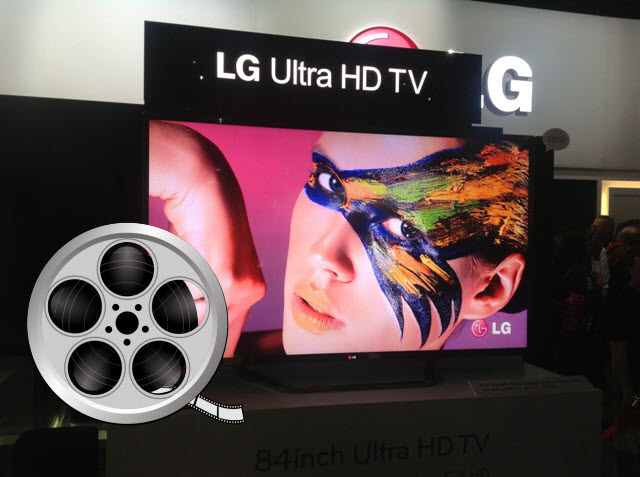 So how can you get the 4K content to play on LG UHD 4K TV? 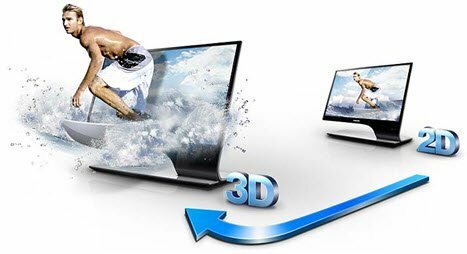 Many factors affect the need of a 3D TV. For example, Hollywood blockbusters are often made with 3D viewing in mind, optimized to deliver an immersive 3D experience. With a 3D TV in your living room, you can relive the excitement of the theater in your home. 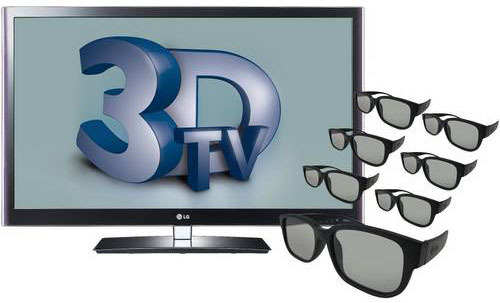 However, facing with numerous 3D TVs on the market, people get confused that which 3D TV deserves their money. Check out our list of the best 3D TVs for some of the most advanced features and picture performance, you maybe get some hints about which 3D TV you should buy. 1. Don’t rely on the spec sheet to provide hints on which TV will perform better than another. Picture quality is not determined by the published specs. Currently we have seen plenty of 4K Ultra HD TVs hitting the market from major TV manufactures like Sony, Samsung, LG, Panasonic, Toshiba, etc. Undoubtedly, Sony is the leader in 4K entertainment. 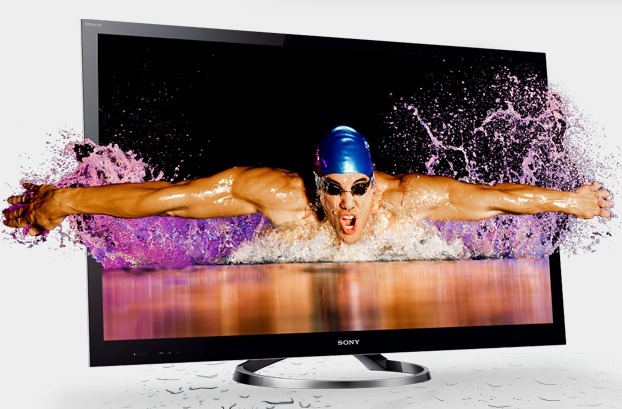 Sony’s high-performance XBR series of 4K TVs are known for their powerful video process. They enhance picture quality by analyzing and correcting images, resulting in impressively natural detail and color. After got the 4K videos, you may want to watch 4K videos on HD TVs, like Sony XBR 4K Ultra HD TVs or smart TVs, is it easy to play 4K files on Sony XBR 4K Ultra HD TV? How to Play BBC Videos on Sony TV Smoothly? BBC iPlayer is a great place to watch TV shows. Many people like installing BBC iPlayer on their TVs to watch BBC TV shows by the iPlayer site. But some of them meet various kinds of problems: BBC HD FLV file provided by the iplayer site can’t played on TV; If you are a Yank, you maybe not allowed to watch videos via iplayer; Some program need to be paid; iPlayer won’t work at all on your Sony TV. For these all sorts of problems, it seems to not easy to watch BBC videos on TV. If you want to smoothly play BBC video on your Sony TV, you should download the BBC video, break the DRM protection and convert the format to Sony TV playable format. After this process, you can get smooth BBC video playback on Sony TV. Possible for WD TV Update to support over 100 H.265 (.mp4) Blu Rays? Almost all the video we watch, over digital terrestrial TV, over cable, from satellite, or over the Internet, is compressed. Raw, uncompressed video is just too big and would waste too much bandwidth. Just for me, I have over 100 H.265 compressed Blu-Ray Movies with smaller file size but the same quality as movies encoded with H.264 MP4, but I can’t stream these H.265 (.mp4) Blu-Rays via WD TV to big screen TV over network for playback. The WD 2nd level technical supoort told me that WD current not updated their firm ware for supporting the H.265 (.MP4) Format. This article would share my solution an easiest way to convert and stream over 100 H.265 Blu-ray videos to WD TV. Home theater is getting more and more popular with consumers. DVD and widescreen TVs bring a more authentic audio/video experience to the living or entertainment room. Here comes some questions about watching DVD Movie with Widescreen TV. Q1: Just wonder if all DVD movies are wide screen and have the bars on the top and bottom? Q2: I bougth a WIDESCREEN monitor (SAMSUNG P2370) in order to watch DVD MOVIES in widescreen format. The point is that NONE movie use all the screen. Always remain black sectors on the top and bottom. People would choose to backup their BD/DVD collection to ISO image files to save physical space and prevent hard disks from damages. But as a data reflection of DVD or Blu-ray disc, ISO files cannot be directly opened or watched without virtual driver. Is there an easier way to open and watch ISO video file on Sony Bravia HDTV? Transfer and copy ISO files to USB and then watch on TV, this may be a great choice.How to copy ISO files to USB for Sony Bravia HDTV playback? If you are the High Definition (HD) television users, why not share the videos from Synology NAS on your LG WebOs HDTV with your families? The following will guide you with the steps about how to convert movies on NAS and playback the converted videos on LG LB650V via plex. 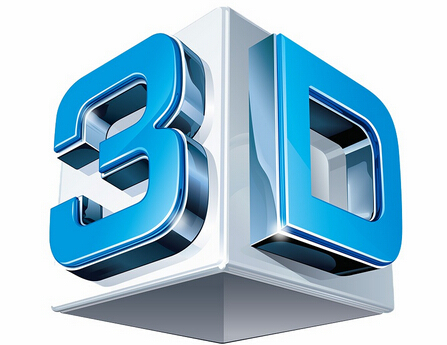 3D movies have joined our daily lives for a couple of years, and 3D Blu-ray is becoming the most sought-after thing. With the WD TV streaming media player, you can enjoy 3D Blu-ray on biggest screen TV in the house comfortably with family. Want to convert purchased 3D Blu-ray movies (Robot and Avatar) to MP4 to play on a 60” 3D Panasonic TV via WD Media Player? Well, you don’t need to find complex steps; just prepare a Blu-ray drive and let’s start converting 3D Blu-rays to 3D TV with ease! Below is the effective solution. As a big fan of 3D Blu-rays, you may prefer enjoying the extraordinary Blu-ray-level video quality and the nakedness-eye 3D effect at the same time and even have bought all the latest hot 3D Blu-ray movies, like Captain America: The Winter Soldier, The Amazing Spider-Man 2, X-Men: Days of Future Past, Edge of Tomorrow, Transformers: Age of Extinction, etc. Isn’t it nice to getting all of them onto your 3D Samsung TV for enjoying on large display with original vivid 3D effects retained? Nonetheless, a question is sure to wrap around them is – how to make a 3D Samsung TV to accept your 3D Blu-ray content? Luckily, now I find the easy workflow and work it out. And I will share my experience in the following paragraph. I bought my very first 3D TV The M701d a week ago at Costco. 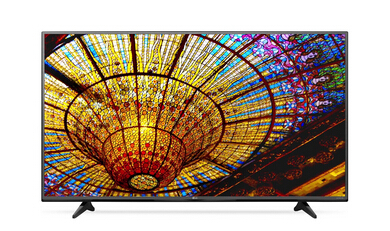 It is the second largest LED TV in the M series for 2013/2014. The 2D picture looks great and it also has a very nice deep rich 3D quality picture. But right away I noticed some cross talking on the bottom part of the screen when I watched John Carter and The Hobbit, mostly when there was subtitling. I saw it really bad when watching Wreck-It Ralph last night. Depending on the depth of the 3D image, the cross talking is extremely noticeable on the bottom half of the screen. Watching a 16:9 movie, like The Avengers, is almost unbearable. It is a movie in Blu-ray disc. Western Digital’s amped up WD TV Live Plus goes beyond Netflix with Flickr, Pandora, DVD menu support, control through Windows, and more. You can play media from your home network and the Internet on your big screen TV. Plus, enjoy access to your Netflix unlimited membership and other premium content. What I mean is that you can experience them as big as life on your TV in Full-HD 1080p with WD TV Live Plus HD media player. 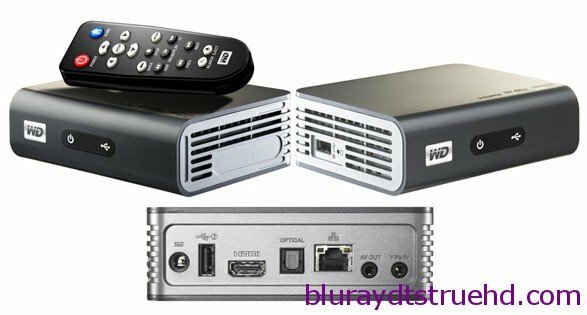 Can WD TV Live Plus playback Blu-ray backups? It is known that WD TV is a customer device produced by Western Digital and it is good at playing high-definition video, standard video and most common video and audio formats. The WDTV (original box) only has DTS pass-through, no down mix. And the WDTV Live can downmix DTS to stereo, so you can watch a film with a DTS soundtrack down mixed to TV via HDMI on WDTV Live. While WD TV Live HD Media player, WD TV Live Plus HD Media Player and WD TV HD Media Player will play DTS audio in 2 channels without the need for an audio receiver that can decode the codec. How to copy Blu-ray TV series discs and keep dts sound? It is official announced that ’60s “Batman” TV series will hit shelves on Blu-ray in November this year. For the very first time, Warner Bros. Home Entertainment (WBHE) is releasing the fan-favorite original 1960’s Batman TV series starring Adam West as Batman and Burt Ward as Robin. If you plan to buy a Blu-ray TV series disc like ’60s “Batman”, what’s the best audio quality you could get from your disc? Maybe it is DTS audio codec, DTS-HD Master Audio is a combined lossless/lossy audio codec created by Digital Theater System, commonly used for surround-sound movie soundtracks. Then is it possible to copy your Blu-ray series discs with keeping the DTS sound?